Sorry that I'm a day late on this one... I'm swamped with work while trying to get ahead of my syllabus in order to be able to be work-free for my vacation this weekend. I'm heading out on a cruise for my grandmother's birthday and while it's only Friday to Sunday, those are my key catch up days! I'll be relegated to only a few light reading assignments while on the ship and I can very easily do that late at night. So I'm happy about that. Oh! And don't forget about the ongoing blockbuster Halloween Giveaway! Now, without further adieu, here's my nail art! 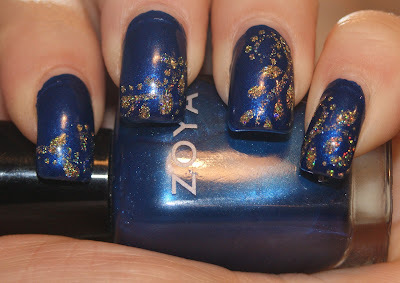 For the above, I used Zoya Song and gold glitter Stripe Rite nail paints. 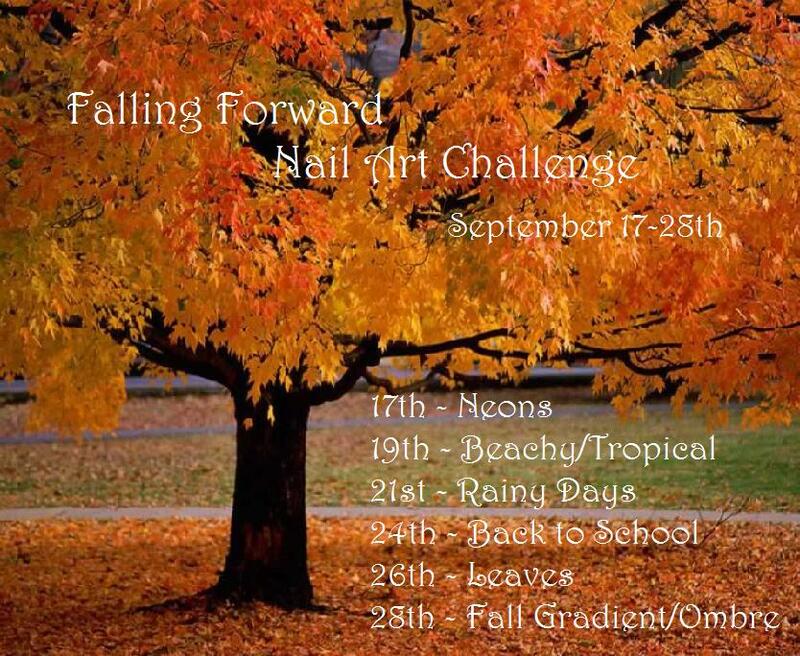 Rather than go with the traditional idea of falling or turning leaves, I wanted to do something different. This is a little more on the holiday side of things with the glitter, I realize that. BUT, I think the gold makes it autumn appropriate. 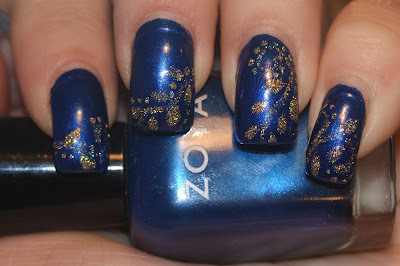 I love the idea of blue and gold as complimentary colors and this REALLY pops in the sunlight. You can see it above in artificial light and how much it sparkles. So what do you think of my interpretation?